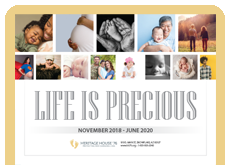 Description: Pro-Abortion opponents have tried to paint the pro-life movement as only concerned with the baby; but every Pro-Lifer knows this is a lie in face of the evidence. This sign declares the truth that we are supportive of all life - and we are willing to put our actions where our mouth is. Printed on both sides of very long-lasting corrugated plastic with UV resistant ink. 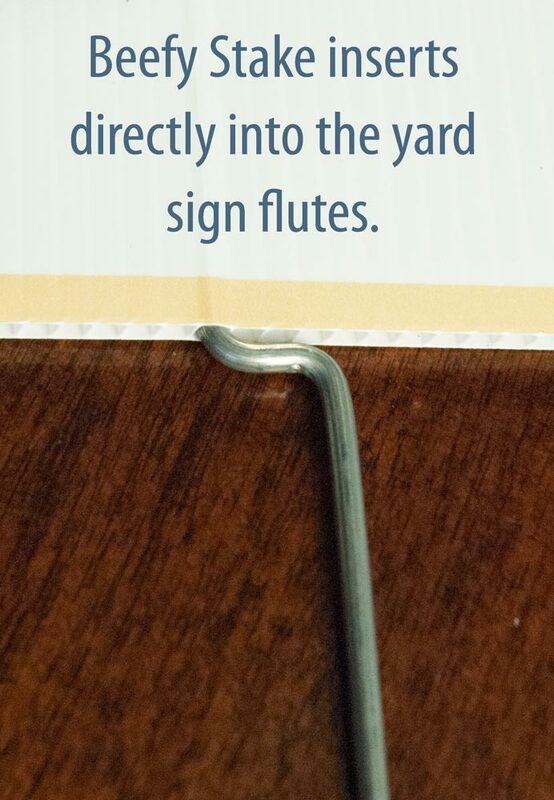 These signs are excellent for vigils (they are light weight and stand up to any weather) or they can be used as yard signs with the included beefy stakes that will keep them in place and displaying 24-hours a day. 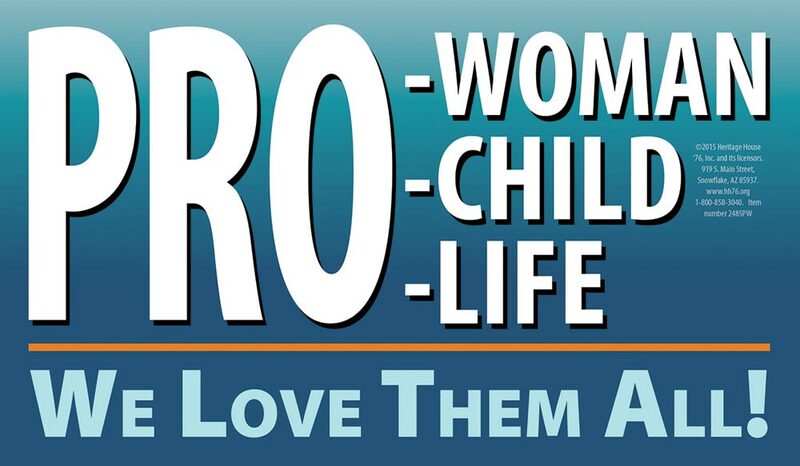 The Pro-Woman Pro-Child Pro-Life. We Love Them All. 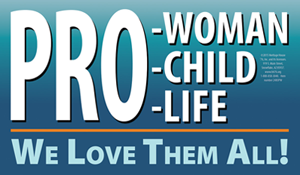 The sign correctly states the caring stance of pro-life people for mother and child. It’s easy to carry to and use in any venue. I bought three; they will be well used. The baby feet pins are a staple for our exhibits and displays in various venues. They’re a great witness for life. Our church gives them away on Sanctity of Human Life Sunday.